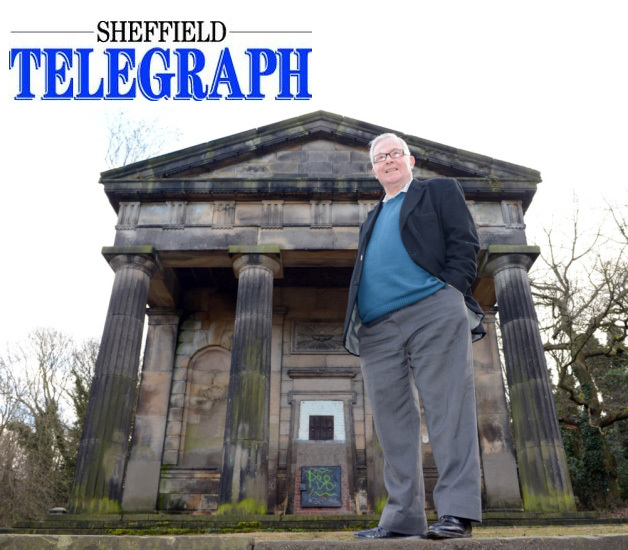 One of our current project, the regeneration of the Non-Conformist Chapel at Sheffield General Cemetery, was in the Sheffield Telegraph again this week as we prepare to start on site later this month. The grade II* listed chapel was opened in 1836 as the centre piece of the extraordinary landscape vision that was the Sheffield General Cemetery. However since 1950s it has laid redundant and un-cared for, and is currently on the national heritage ‘at risk’ register. That is until the Sheffield Centeral Cemetery Trust set their sights on giving it a new lease of life. We have managed to secure funding from the Architectural Heritage Fund, the Wren Fund and Sheffield City Council.